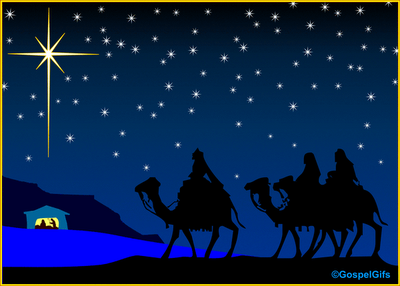 Unasked questions: How big was the Star of Bethlehem? It led them, and stopped over where Jesus was. Obviously, this star was very close to the Earth. Maybe as high as a modern skyscraper over the place Jesus was. Say 1,000 feet. If it was as far away as the Moon, it wouldn’t be leading them and then stopping over where Jesus was. It was a lot closer than the Sun is. A lot closer than the next star, which is 25,277,000,000,000 miles away (4.3 light years, yes, that’s over 25 trillion miles). Here’s the problem: the smallest that a star can be is 80 times the size of Jupiter, and Jupiter is over 300 times the mass of the Earth. Smaller than that, and the object can’t undergo nuclear fusion. So, to be a star, it has to be at least 25,000 times as massive as the Earth, and even then it would only be a red dwarf. If you want a white star, it has to be 10 times larger still. Unfortunately, if anything that size came anywhere near the Earth, our planet would be dragged right into it and disappear like a pebble tossed into a pond. Congratulations, and welcome to the real world! You are now free of religion. Go in peace.